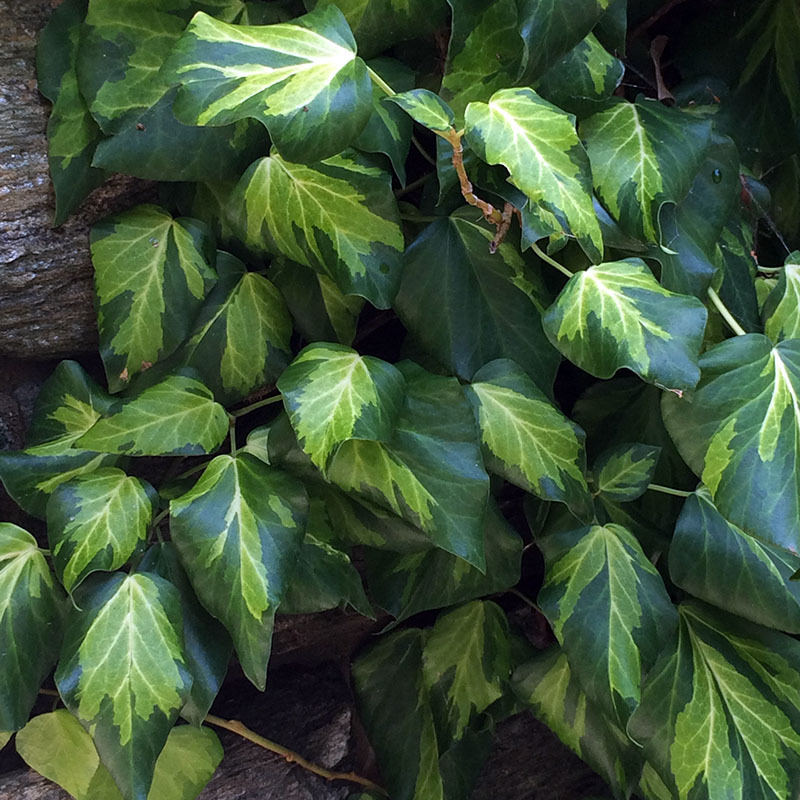 This ivy has a tendency to stop people in their tracks when visiting the gardens at the nursery. It is not your average ivy. Extra large, dark green, heart-shaped leaves with golden yellow centers are evergreen, looking good year-round. Leaves can reach up to 10″ across. Use as a groundcover, screen, or to cover a wall or fence. Easily maintained by trimming any time of the year. Full-part shade. Rambling vine or groundcover. Deer resistant. Zones 6-10.